In recent years exciting discoveries have been made in neuroscience as well as cognitive psychology. These findings help explain how the brain works and how we can learn new things more efficiently. In a nutshell they all agree that we need rich,meaningful, multi-sensory input that can be linked to previously existing knowledge in our brains. 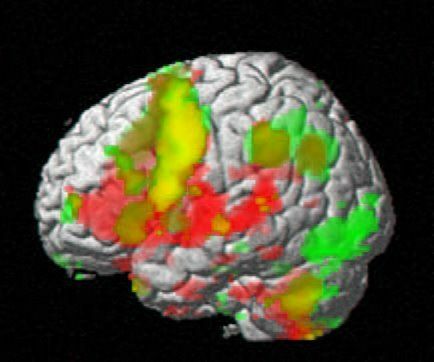 The following picture shows a brain that is exposed to such input. It sees, hears, moves and feels all at the same time. Neural networks created under such conditions will be long-lasting and efficient. example: What does the word “bakery” include for you? What do you see… hear… smell… taste…feel…? 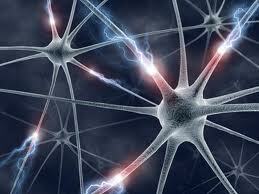 Neural Activity: Let’s look inside the brain. Watch the following animation of neural activity in the brain. See how impulses go back and forth in all directions. Keep these images in mind when presenting new vocabulary or ideas to your students. How can you trigger this kind of activity in your learners’ brains? we have created extended neural networks in our brain that will help us recall and use the new expression efficiently. when writing vocabulary use lots of space for each new item so learners can add collocations, sample sentences, doodles etc.